On August 1, Stratcom announced that five US strategic bombers had recently carried out long-range exercises, several of the planes flying over Russia's Artic borders. According to the US military, two B-52s flew from the US mainland to the North Pole, after which they turned in the direction of the Norwegian archipelago at Svalbard, before going on to skirt along the border area of Russian Artic territories, including the Franz Josef Land archipelago, Severnaya Zemlya, the New Siberian Islands, and Wrangel Island. Commenting on the exercises, Russia's RIA Novosti news agency pointed out that the US bombers' trajectory coincided with areas where the Russian military has been engaged in a defensive buildup recently. Another B-52 taking part in the exercise took off from the Barksdale Air Force Base in Louisiana and flew flying to the Baltic Sea to take part in a NATO exercise simulating the interception of enemy bombers. Meanwhile, two B-2 Spirit 'stealth' bombers, taking off from the Whiteman Air Force Base in Missouri, flew over the Pacific Ocean, conducting simulated bombing exercises at a coastal range in Alaska before returning to their bases. RIA Novosti defense analyst Alexander Khrolenko confirmed that the bombers operating in the Arctic flew within 70-150 km of the Russian border, "that is, within the air space over the Russian economic zone in the Artic." At the same time, the journalist noted, "the US did not exactly advertise" their moves, "officially informing Moscow only of the flight of the B-52s from North Dakota's Minot Air Force Base to the North Pole, and then to Alaska and then back to base." In fact, he pointed out, the bombers spent up to 20 hours in the air, refueling 26 times, using fifteen KC-135 and ten KC-10 tankers to do so. Pondering the strategic implications of this quiet "global demonstration" of US capabilities in the Russian Arctic, Khrolenko began by making clear that the move wasn't exactly target practice. "For its long-distance global strike, the B-52 does not need to come within 150 km of the Russian border. After all, the launch distance of the cruise missiles onboard the planes allow them to remain at least 800 km away from the Russian border." Accordingly, the journalist suggested, "it's likely that this was a move meant to study the capabilities of the new military bases in the Russian Arctic. However, that too was not the only reason." The expert recalled that during the Cold War, US military strategists had developed a plan called 'Giant Spear', according to which B-52 bombers were meant to fly up to Russia's Artic borders and launch nuclear-tipped cruise-missiles at targets from Murmansk to Moscow. "In response, our General Staff proposed to place a defensive echelon of frontline fighter aircraft and anti-aircraft missile systems on Franz Josef Land." Now, three decades later, "history is repeating itself," but not quite in the same way. Today, Khrolenko noted, "the views of the US military leadership regarding the role of strategic bombers in modern warfare are changing. While continuing to serve as one of the main elements of US nuclear deterrence, strategists are also looking at the B-52s capabilities in conflicts of a more limited scale." In US planners' minds, "the benefits of strategic aviation include high combat readiness, the ability to hit targets anywhere in the world from bases in the continental United States, a large and multivariate combat load, the possibility to correct combat missions inflight, and the ability to operate in all weather conditions." As for the bombers' targets, these "include groups of enemy troops, command posts, air defense points, ammunition depots, industrial facilities, energy and transportation hubs. In addition to attacking the enemy, strategic aviation also handles the tasks of anti-electronic warfare, aerial reconnaissance and setting minefields at sea." At present, Khrolenko recalled, the US has a fleet of 70 B-52H Stratofortresses at its disposal, four of them engaged in testing and R&D, and 13 in storage. 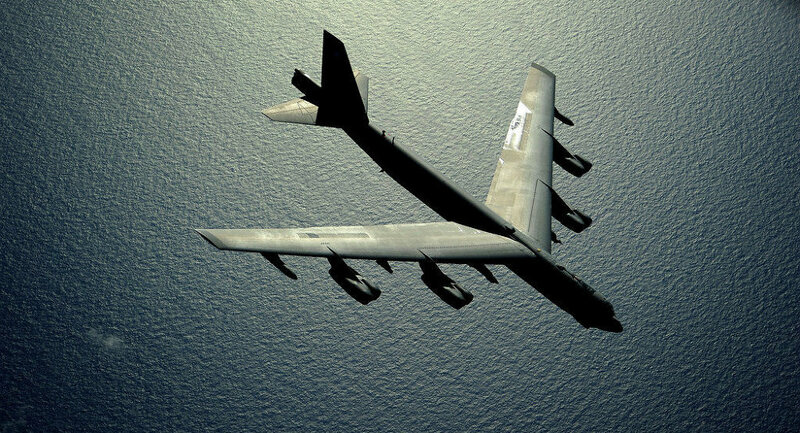 Switching the planes' armament from conventional to nuclear "does not require modifications or design changes…B-52s can carry up to 20 air-launched long-distance cruise missiles, both nuclear and non-nuclear." In the analyst's view, in a situation where Ukrainian, German and Swedish military observers are flying over Russia in accordance with the Open Skies Treaty, "the Europeans [nonetheless] continue to prepare for war with Russia." Against this background, Khrolenko warned, "US preparations, with the flights of their B-52s, look much more noticeable." In his own commentary, Zvezda contributor Viktor Sokyrko took note of the fact that Moscow, for its part, has reacted with remarkable calm to the US planes' presence near Russia's Arctic borders. The journalist sarcastically noted that "not only did Russia not destroy these planes – they didn't even 'express concern', as Washington so fondly does whenever Russian military aircraft conduct flights outside Russian territory." Nevertheless, the military analyst noted, the US strategic bombers' flight remains significant, precisely because "this is the first move of this kind by US aviation near Russia's Arctic borders" in recent history. "Previously, the US Air Force did not allow themselves to take such liberties. Or perhaps they simply did not see the need to do so; after all, after 1991 they did not have any specific strategic interests in the area, while the military facilities of the Soviet and then Russian army gradually withdrew from the area. Now, the situation has changed dramatically, and the [renewed] US interest is understandable." 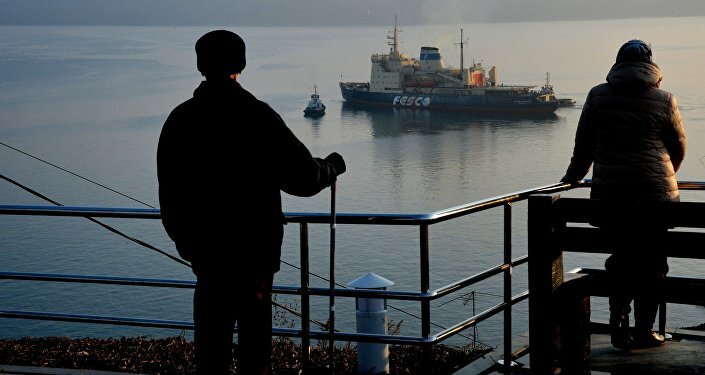 According to Sokyrko, it is notable that the US planes entered Russia's exclusive economic zone, the existence of which the US has refused to recognize. "Today, Western countries also do not recognize Russia's claim to much of the Artic shelf, and are trying to mark their presence in the region in every way possible — if only by flybys using long-range aircraft." Commenting on the presence of US bomber aircraft in the region last week, the Russian General Staff made it no secret that the appearance of any foreign aircraft over the skies of the Arctic, whether civilian or military, is being monitored by Russia's air defense forces. It goes beyond monitoring, Sokyrko noted. "In this area, we have enough forces and resources to monitor the entirety of the airspace in the region. 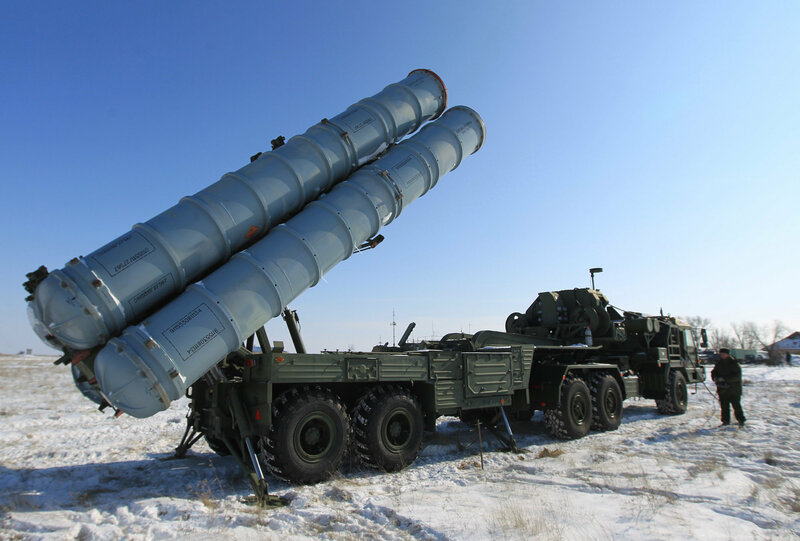 Last year, two separate anti-aircraft missile regiments, equipped with the S-400 Triumf, were deployed in the area, headquartered at Novaya Zemlya and in the Tiksi settlement in Yatukia." And there are other air defense systems in place, including the Pantsir-S1 combined SAM and anti-aircraft artillery system and the Bastion coastal missile system. "Missile-based coastal defenses, SAMs and rocket-artillery units and subunits are on combat duty in other Artic islands, as well as in some continental areas of the Russian Arctic," the journalist emphasized. Speaking to Zvezda, military aviation expert Yuri Gavrilov pointed out that "the entire coast of the Russian Arctic…from the Kola Peninsula to Anadyr, is equipped with aviation control points, radio, radar and space reconnaissance units. Artic airbases are equipped with MiG-31 fighter-interceptors, which remain the most high-speed and high-altitude capable aircraft in their class. Now, these are being replaced by the new MiG-31BM, which has no problems against US B-52 strategic bombers, and even the more modern B-2s." Accordingly, with US planners well-aware of the Russian military's ability to rebuff them in the Arctic, Sokyrko suggested that it was only logical to ask just what it was they were doing there. Speaking to Zvezda, respected military analyst Leonid Ivashov offered a simple answer to this question. "The United States, traditionally considering virtually the entire planet to be within its zone of interest, has looked at the Artic in exactly the same way. After [the Russian military] left the area in the 1990s – abandoning airfields, navigation and radar systems, the Americans were not particularly concerned over these areas, considering that they could come in and enjoy the area's wealth of natural resources at any moment. The US divided the Artic into zones of responsibility of its military commands, and formed the Arctic Council, which included Canada, Denmark, Norway and the UK." As for Russia, "they rashly dropped them from their calculations. And here it suddenly turns out that the Artic has a real owner, and one who is well-armed, and ready to defend its territory. 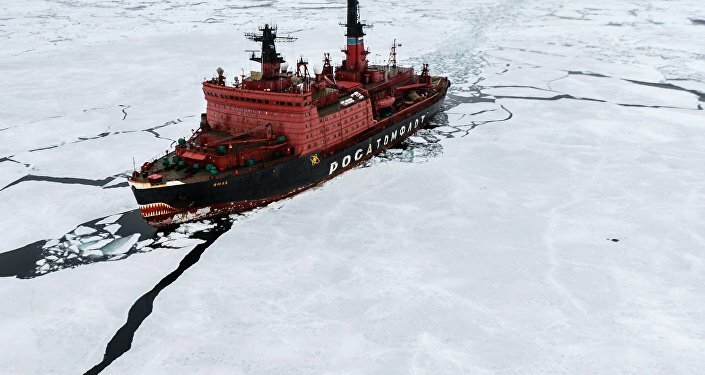 The US can't just send an aircraft carrier to the Barents Sea without icebreakers, which the US does not have – the carrier will just freeze into the ice. And the Navy SEALS aren't going to have an easy time swimming there. What's left is to somehow demonstrate themselves in the skies." Ultimately, Sokyrko suggested, the US strategic bombers flying over the Arctic near the Russian border are something akin to "flies that, sensing something sweet, flock to the area in a swarm. And they will continue to do so so long as they do not feel the force of a flyswatter, capable of convincing them to lose their appetite and go look for their 'food' in more familiar surroundings."